Non-woven (TNT) or polypropylene (PP) fabric is used to manufacture a series of resistant products designed for repeated use, characterised by a smooth or pleasantly rough texture to the touch and a handle made of the same material or nylon. They can be finished with glossy or matt lamination and closed with a zip, Velcro or automatic buttons. 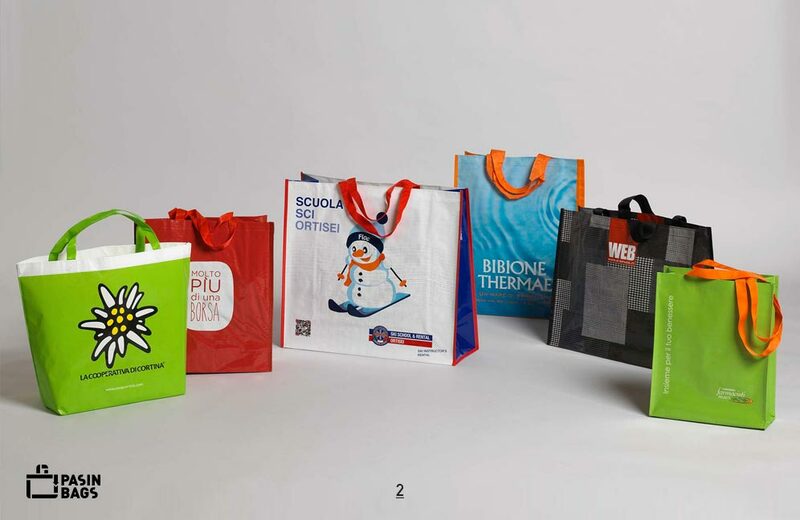 The Pasin Bags non-woven (TNT) or polypropylene (PP) fabric shoppers are made of synthetic material that is either smooth to the touch (‘non-woven’) or rougher, in which the warp and weft are clearly visible (‘woven’). The ‘woven’ non-woven bags are always laminated. 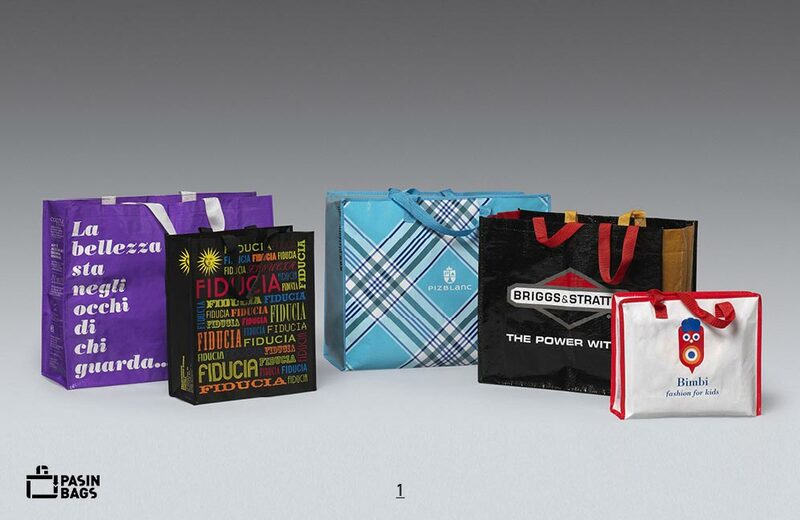 Highly resistant and sturdy, these shoppers can be used repeatedly even for different purposes. The NW and PP bags can be finished with glossy or matt lamination. The handles are made of the same material or nylon. The shoppers can be left open or closed with a zip, Velcro or automatic buttons.